Is Declan Shalvey teasing a Banshee series? – AiPT! 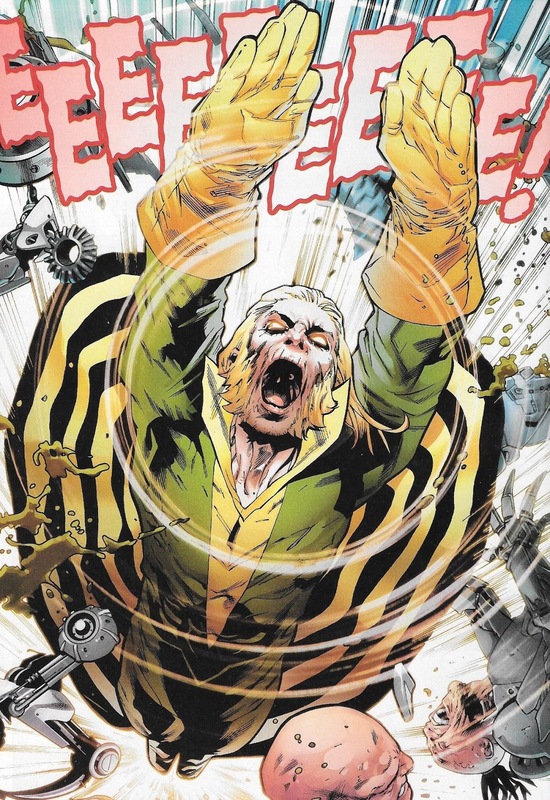 Marvel’s X-Men line recently contracted, with several books disappearing to make way for the weekly Uncanny X-Men series, and will soon expand again with the sprawling Age of X-Man event that spins out of it. Could there be another new series on the way, focusing on a similarly overlooked character? Declan Shalvey, fan-favorite artist of Marvel books like Avengers Arena and Moon Knight, teased a cover he recently completed for something he called a “dream title” and “dream character.” The arm of a flying character is visible, with a striped flap that seems to be a dead giveaway identifying Banshee. It makes sense, since Shalvey is Irish-born himself. Could the “familar location” be Muir Island? Are those cliffs in the background? Shalvey has done more covers than interiors as of late, but maybe a Banshee series could lure him back to the grind. Fans of his unique, expressive style will certainly hope so.